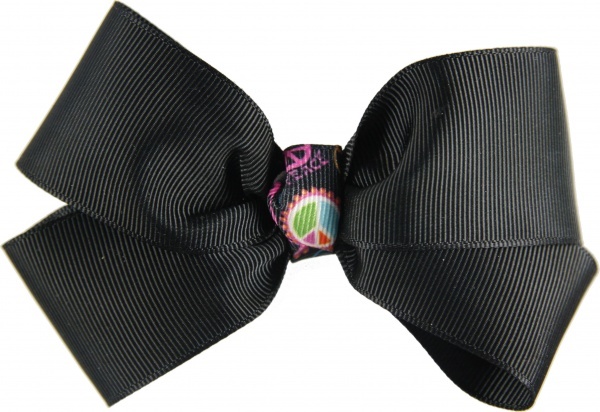 This is a black bow with a peace sign emblem. This is a black grosgrain 1.5" wide ribbon that is wrapped in a boutique style bow. It will give you just that needed touch for your peace sign party. The peace sign has pink, lime green, orange and blue bright colors that wraps the center.